After several months of preparations, in September Amana Capital launched its new offering to the institutional market called AmanaPRO. The service, directed towards servicing retail brokers has gotten initial traction after an official release in Shenzhen. The company has initially focused on servicing regional demand in the Far East. Hence the first localization of its website to Chinese. AmanaPRO is presently supported in English and Chinese, but the firm is looking to add more languages as it continues expanding to different regions. Launching a new prime of prime service to the brokerage industry has been an evolution for the group of companies under 180 Capital Group. The CEO of Amana Capital, Ahmad Khatib shared with Finance Magnates some insights on the company’s new product and the state of the market. Khatib said that the launch of Amana Pro is building on top of what the firm has already achieved. The synergies between the different firms in the group led to the development of AmanaPRO as a pool of services offered in a single package. The unification of the products under one brand is making different services easier to market. “Speaking about the basic trading services on offer in the market today, they have been offered by Amana for some time. 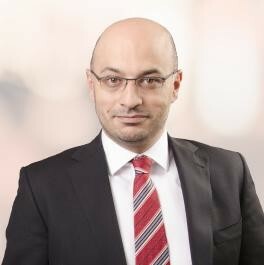 By adding internal systems like a CRM, a back office and risk management systems from Centroid Solutions, we are creating an end-to-end package that can be interesting to the market,” Khatib said. The company’s primary areas of focus are the Middle East and Asia. The firm is also working on building up a bigger presence in Europe. That said, Amana has launched in Asia for a reason and that is primarily because the company sees more demand from clients in a market which is still maturing. Speaking about the company’s competitive advantages, Khatib shared that the market is not offering some services in the best possible way. Elements of a successful brokerage like profitability management leave a lot more to be desired. The numbers are out with the market’s reaction to the new regulations in recent months. With the numbers ticking lower, companies are required to apply additional scrutiny to their methodologies. Amana Capital’s CEO spoke about the fact that institutional clients which are brokers typically have retail clients behind their flow. “More efficient revenue capture has become essential,” he said. AmanaPRO is having a go at the competitive brokerage clients space at an interesting time. Its success will hinge on delivering a truly optimal solution to a market which is already competitive. How does this company operate in China without regulation. I was under the impression the only regulated broker in China was IKON.